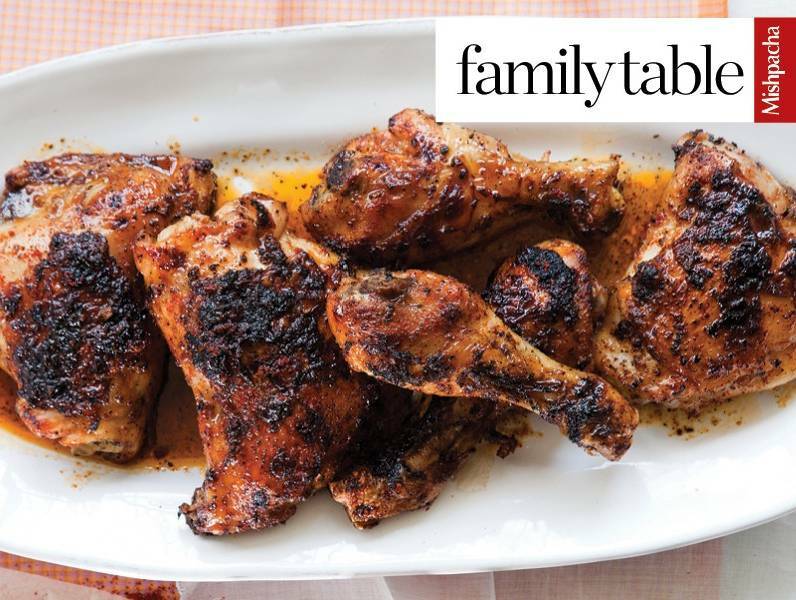 Q: I often make grilled chicken for supper because it’s easy and fast. I need a new way of making it, with interesting spices and perhaps even a little sweetness to it. Any ideas? (Shaindy M, NY) A: I actually just tried this sweet and spicy grilled chicken on my family, because I too was looking for something interesting, and everyone loved it. It’s not your typical grilled chicken — it has a zing to it that is so appealing! Place chicken pieces on a broiler pan coated with cooking spray. Broil for 10 minutes on each side. Remove chicken from oven (it is now skin-side down) and brush 1/4 cup honey mixture on chicken. Broil 1 minute. Remove chicken from oven and turn over. Brush with remaining honey mixture. Broil 5 additional minutes or until chicken is done. Side dishes that pair well with this are sautéed brussels sprouts, quinoa with diced fruit (such as peaches) in it, whole wheat couscous and a green salad, braised cabbage, rice mixed with mushrooms, and a tossed salad with citrus vinaigrette. You can make your own basic chili powder by simply mixing together the following: 1 teaspoon paprika, 2 teaspoons ground cumin, 1 teaspoon cayenne pepper, 1 teaspoon oregano, and 2 teaspoons garlic powder. Store in an airtight container.